With tikz-pgf, I can draw a perpendicular from a point to a line. 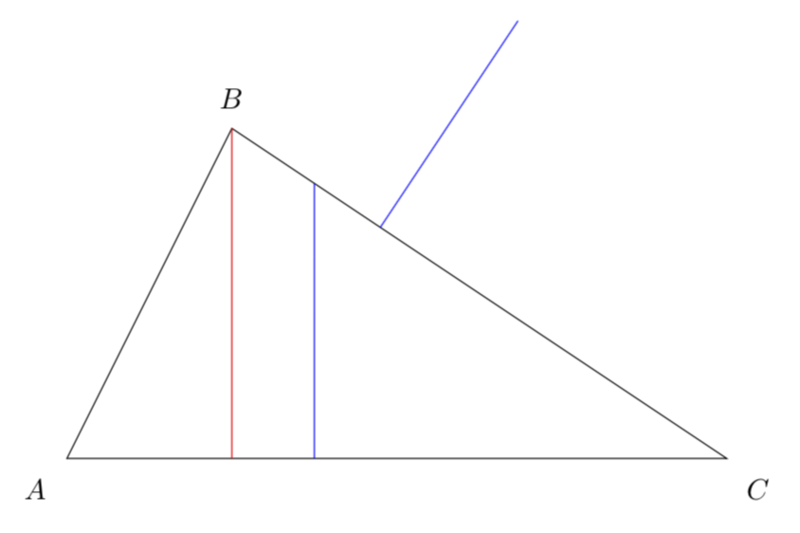 Is there a robust method to draw a perpendicular from a point? For example, in the following code, say I want to raise a perpendicular, from a specific point on line BC outwards. 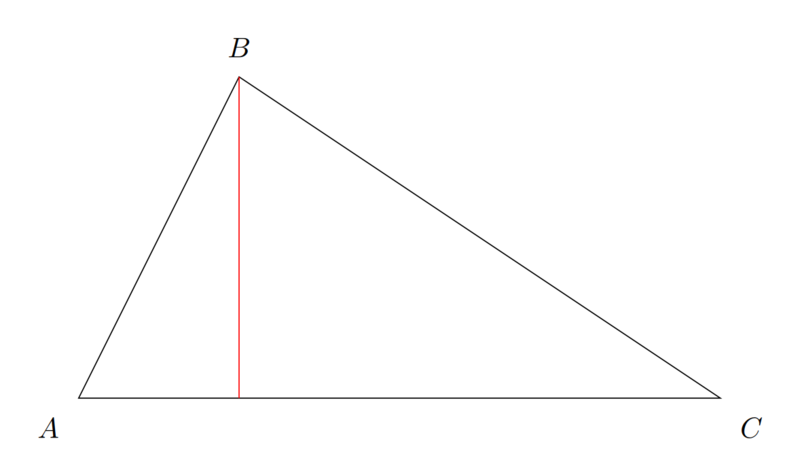 With intersections you can give a name to your triangle path, then build a "fake path" from (4,0) to a point after the intersection with the triangle (you don't need to calculate it exactly, see name path=riga and draw it to understand what I'm saying) and name it, then you can draw a line between the intersections with your triangle and your "fake path". 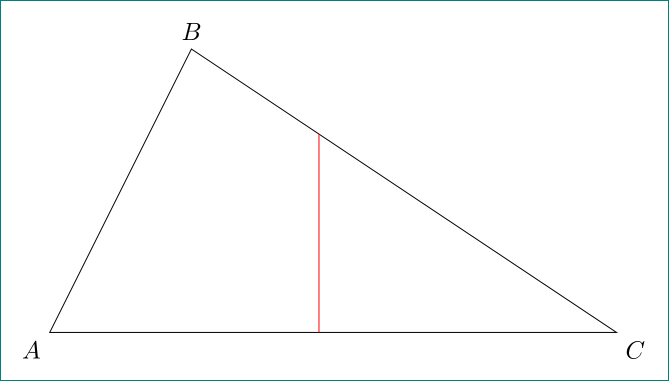 If you want to start from a point on BC, you can use \coordinate (P) at ($(B)!.5! 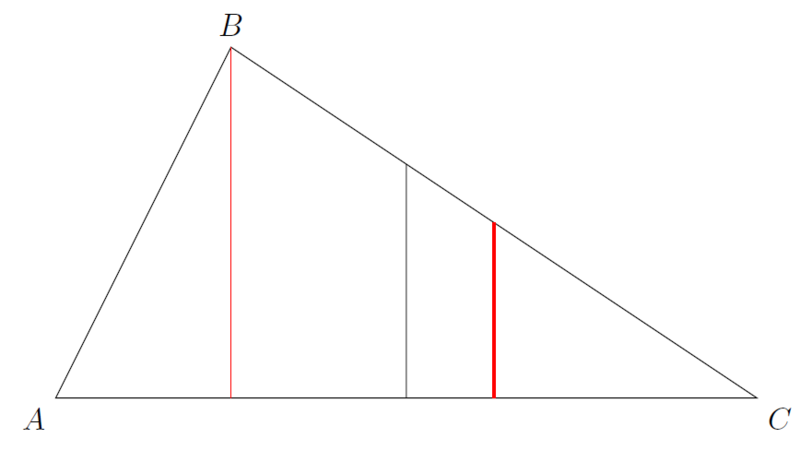 (C)$); with any value you want instead of .5 and do like you did for the line from B (see the thick red line in my MWE). Sorry, not tikz. I understand @hpekris's idea. Another PSTricks solution just for comparison purposes. I provide some possible tricks but you can remove the parts that you don't want.